Colorado Springs, Colorado, is home to numerous impressive and extraordinary attractions such as Garden of the Gods, majestic Pikes Peak, the U.S. Olympic Training Center, Cave of the Winds, Manitou Cliff Dwellings, Seven Falls, Flying W Ranch, Cheyenne Mountain Zoo, U.S. Air Force Academy and of course, Santa's Workshop at the North Pole. Unfortunately, the Pikes Peak Cog Railway will not reopen for the 2018 season. But - you can still drive to the top of the Peak, and of course you can always hike! With over 300 days of sunshine each year, there are plenty of outdoor recreation opportunities - something for everyone. Colorado Springs has an extensive trail system throughout the city, and parks abound. Visit neighboring Canon City to tackle the rapids of the Arkansas on a whitewater rafting tour that winds through the Royal Gorge. Hiking trails are plentiful - Mount Rosa, Pikes Peak, Stanley Canyon Reservoir, and Mount Culter are a few familiar favorites! Fishing, camping, golfing and rock climbing are also favorites in Colorado Springs and the Pikes Peak region. Colorado Springs is known for its rich and diverse cultural activities. You can learn about how the city was founded and how the Pikes Peak or Bust gold rush shaped our region by visiting the Colorado Springs Pioneers Museum. You can descend 1,000 feet into a gold mine, take an historic train ride, or play the penny slot machines in neighboring Cripple Creek. Visit the Colorado Springs Fine Arts Center to see classic and modern art. There is no shortage of things to see and do in Colorado Springs. 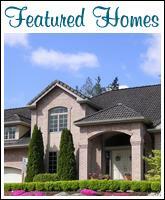 Searching for your next home? Need to sell? I can help and would be honored to answer any questions regarding our local housing market. 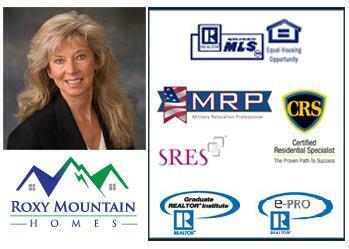 Feel free to contact me for any of your Colorado Springs real estate needs. This is truly a wonderful place to live, work and play!